Clematis macropetala 'Wesselton' produces lovely, double, nodding, violet-blue and white flowers from April to May which are larger than the other macropetala types. 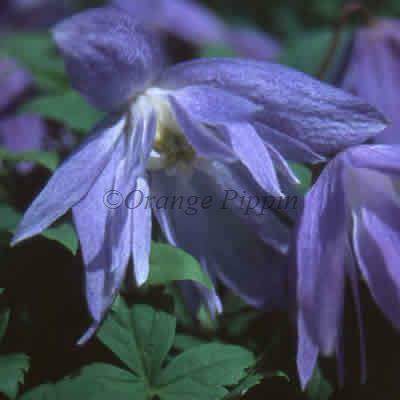 Clematis macropetala 'Wesselton' was raised by Jim Fisk of Fisk's Clematis Nursery, Suffolk, England. The name honours the medieval spelling of his village.